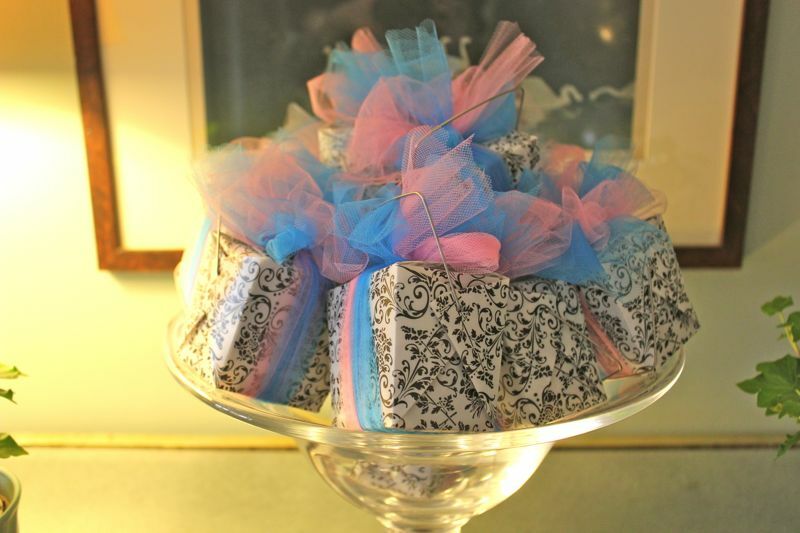 Last week my sister and I hosted a baby shower for our sister-in-law. 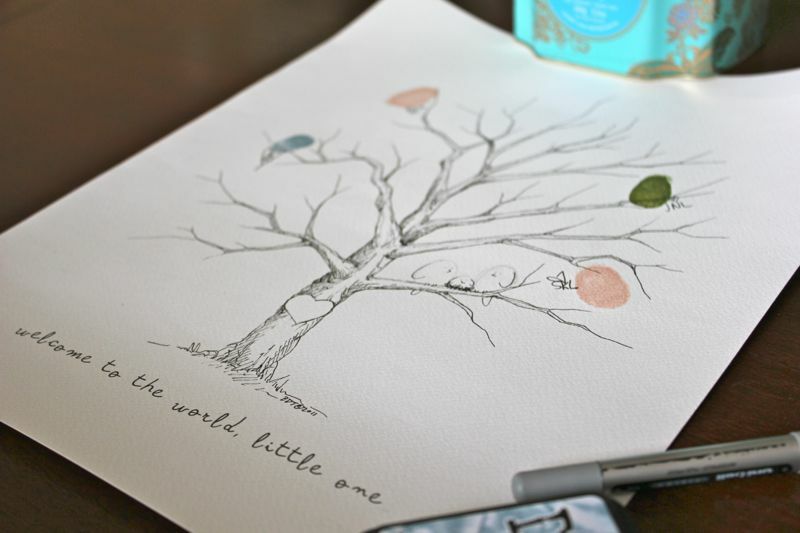 The “guestbook” was a thumbprint tree from Bleu de Toi. There’s even a baby bird snuggled in between the mama and the papa where the parents can stamp the baby’s thumb. Adorable! 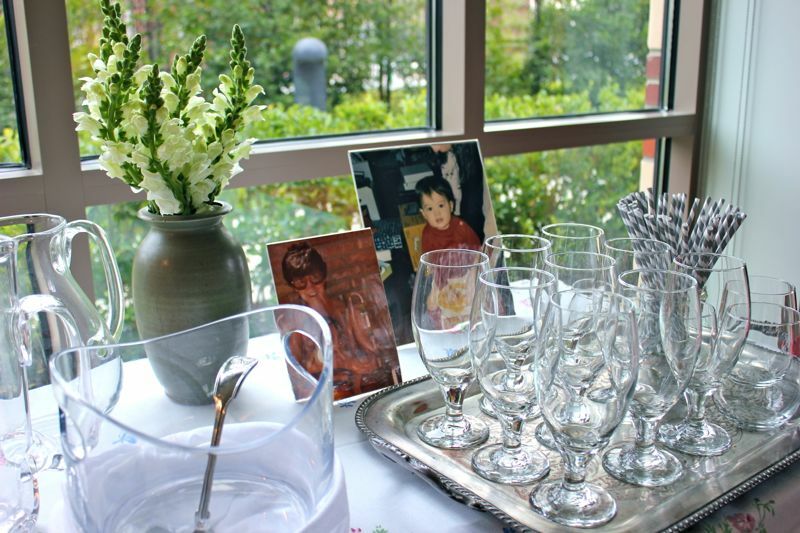 We set the bar with striped straws, snapdragons and baby pictures of the parents-to-be and their mothers. 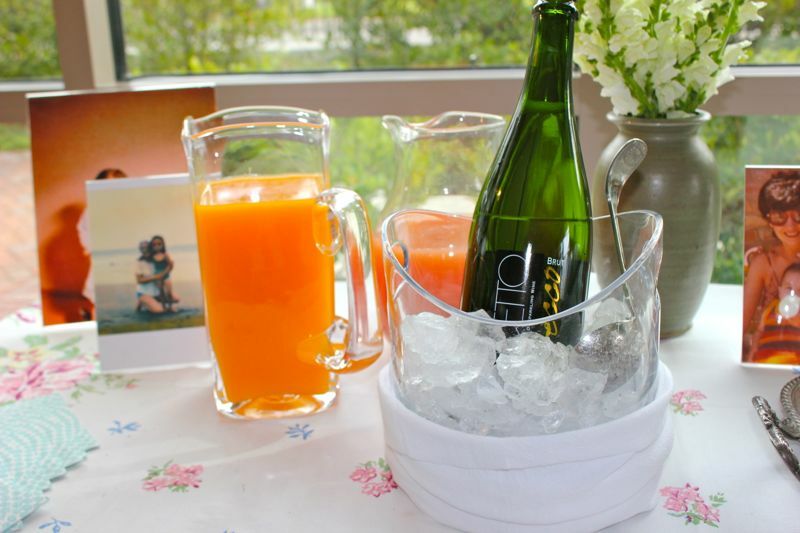 Fresh tangerine and ruby-red grapefruit juice plus prosecco for making your own mimosas. We also had iced bottles of French lemonade, sparkling fruit sodas, homemade peach iced tea and sparkling water. The bar tablecloth was pink and blue because we don’t know yet if the baby will be a boy or a girl. 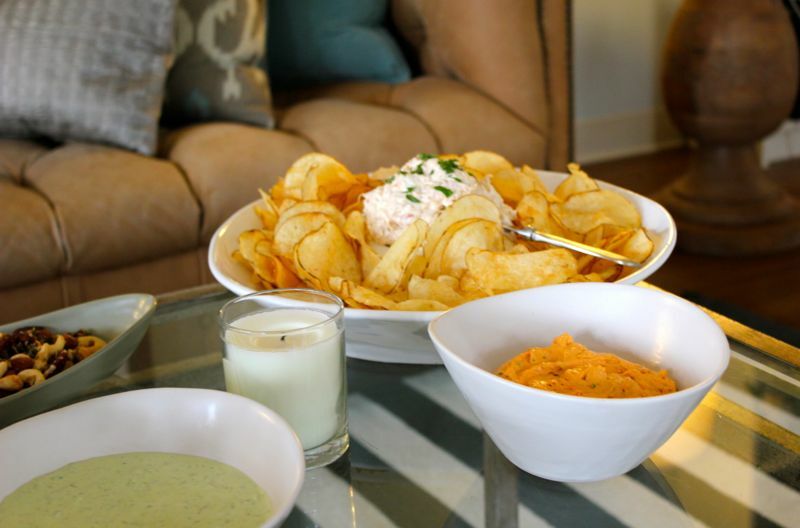 My mom made her now-famous crab dip which we served with homemade potato chips. For lunch we had 4 kinds of quiche: a classic Lorraine, spinach and cheddar, broccoli and cheddar and sweet potato with Swiss chard and goat cheese. Goodies for the guests: mini English toffees my mom smuggled in her suitcase from FoodStuffs, our favorite gourmet foodshop back in Chicago. 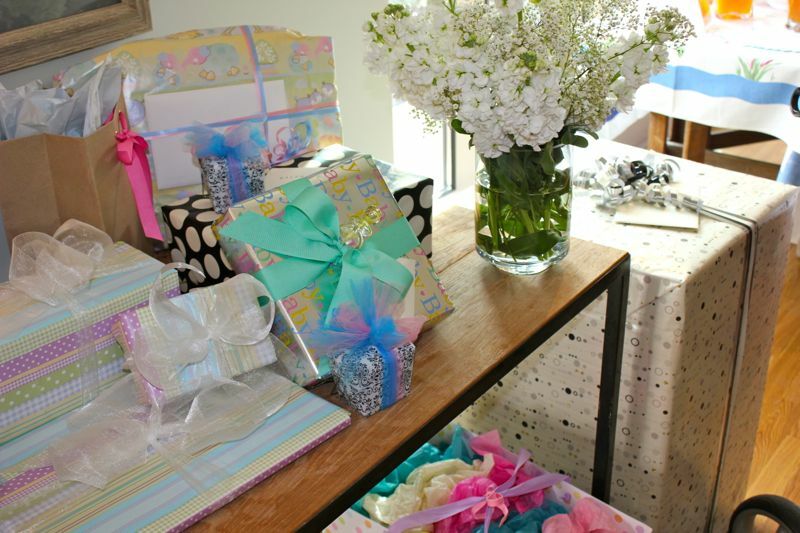 Tell us, do you have any experience throwing baby showers? What worked well and what didn’t? More importantly, are you an aunt? I’m getting very excited about that! So beautiful and so many thoughtful touches. The thumbprint tree is beyond adorable. Mmm crab dip sounds delicious! I live in Chicago and can agree that FoodStuffs English toffee is the best! Lori, I didn’t realize you were from Chicago! Did you grow up there? I also love Foodstuffs millet bread. I’ve never found anything else like it. 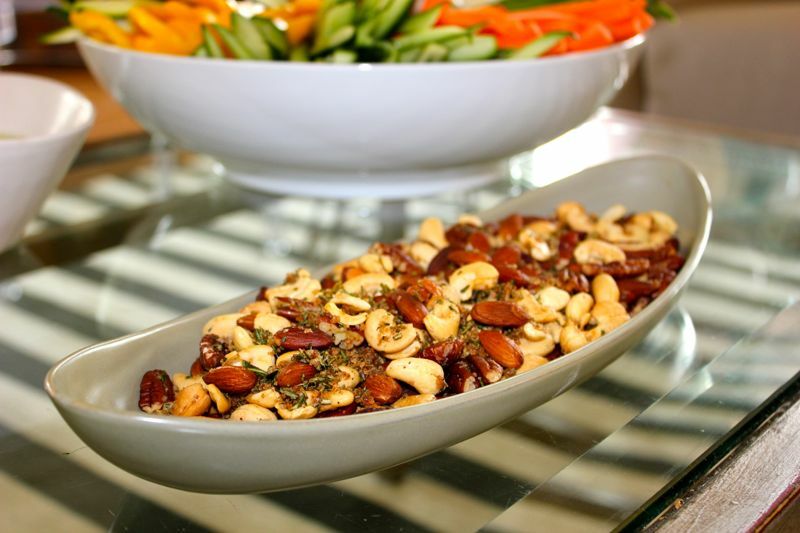 Like the toffee, it’s an original! Love it!! Such a great event thanks to our main hostess! Um, recipe for crab dip and homemade potato chips please!!! And best wishes for the mom- and dad- (and aunties) to be! How wonderful. I’ll work on getting the crab dip recipe. My mom was a little secretive while she was in the kitchen! Congrats on becoming an auntie. I have 26 nieces and nephews and 8 Greats! I LOVE being an auntie. I spoil them rotten and am always their cheerleaders. As a group they just threw us (their aunts and uncles) a combined anniversary party that included a lake cruise and lunch at the cabin. We are truly blessed.